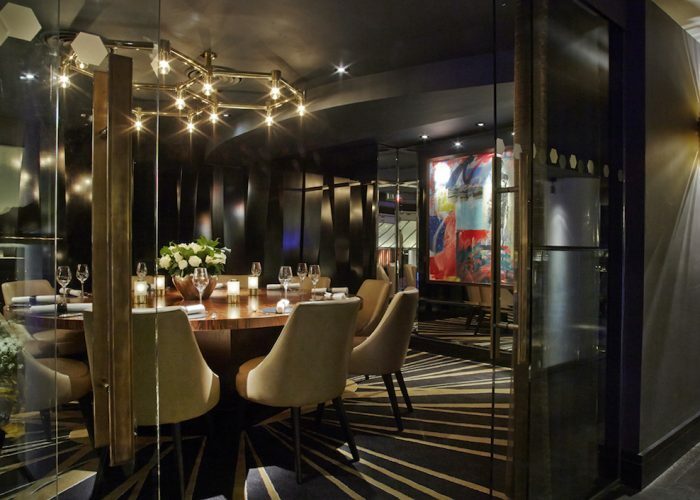 Luxury Private Dining Rooms at Quaglino's - St. James's, London SW1. Thank you for your interest in Quaglino’s! 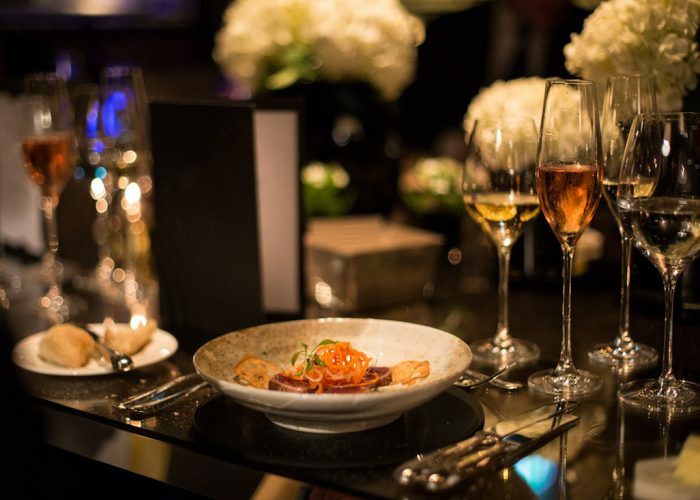 Original super restaurant Quaglino’s, from its inception by Giovanni Quaglino in 1929 to its reinvention by Conran in the 1990’s, has had a particular place within London’s social history and has always been out to impress. A large, impressive and flexible venue for all types of events, our team is always on hand to adapt to any event style. 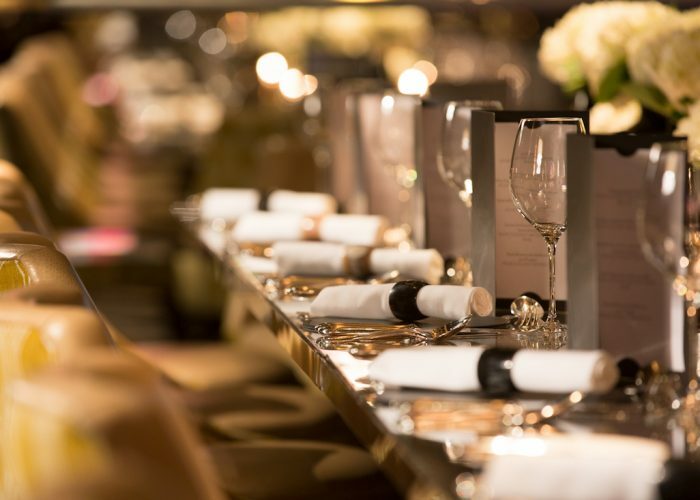 With a range of spaces available – from exclusive hire, private dining and group bookings within the iconic St James’s restaurant – you are spoilt for choice to create the right setting for your event. 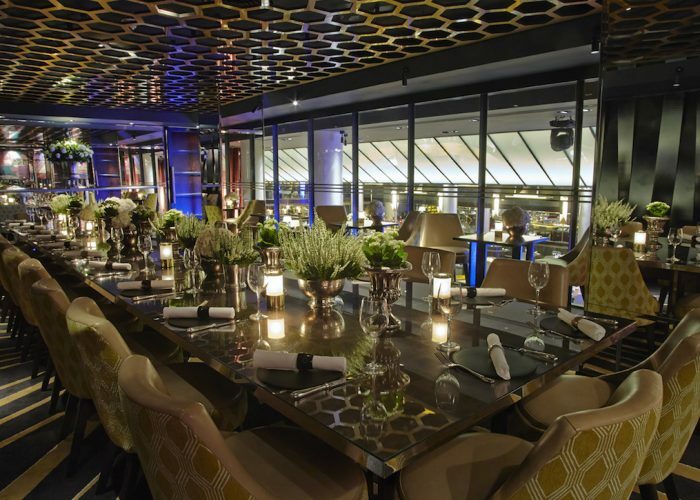 Both private dining rooms at Quaglino’s are situated on the mezzanine level, overlooking the restaurant. 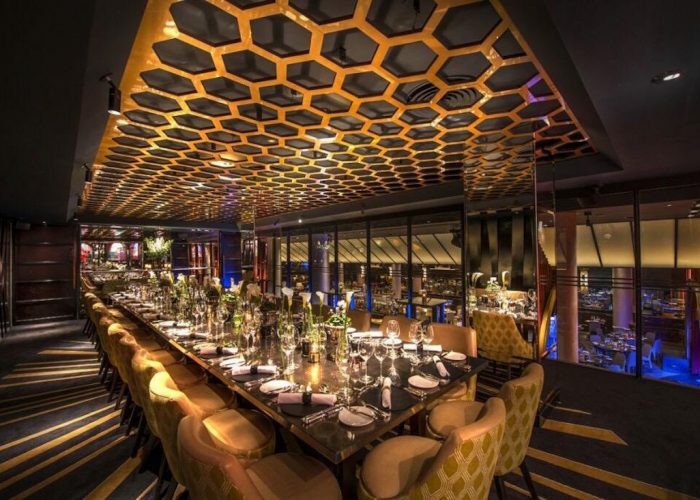 The rooms can offer total seclusion and privacy with the use of blinds or they can be raised so that your guests can enjoy the theatre and atmosphere of the restaurant below. We do not ask for minimum spends or room hire fees, just a minimum number of guests for each space. The larger Prince of Wales room can accommodate up to 28 guests on one table or 40 on separate tables and also has a projector & screen to offer. Giovanni Quaglino originally built the room so that the then Prince of Wales could dine out in public without having to wear white tie and tails. Since then the dress code has changed but the glamour and intimacy of the private dining rooms has not. The smaller Giovanni room offers a more intimate setting for up to 14 guests on one beautiful round mahogany table. 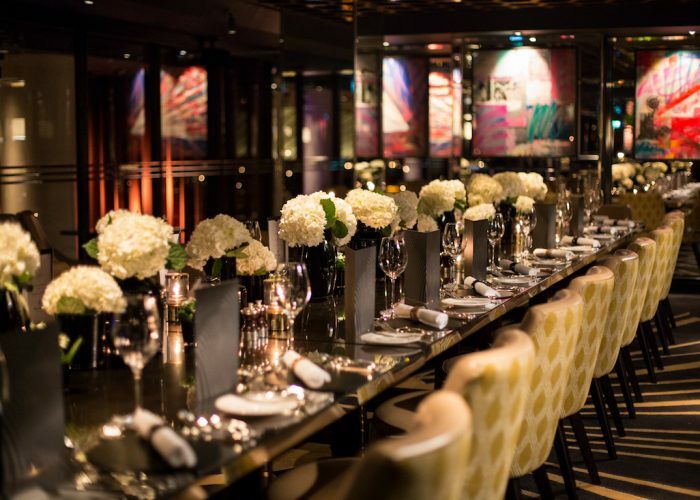 Both rooms can be reserved for breakfast, lunch and dinner; for intimate birthday and anniversary celebrations; corporate presentations or meetings. Conference calls can be accommodated. Complimentary wifi is available throughout the venue and standard flower arrangements are included.